Find info about places to play regularly in Wakefield for all levels at local friendly clubs. Click here. Something for the more seasoned players who want to play regular competitive games. Click here. Where to find professional coaching to improve your game in Wakefield and beyond. Click here. If you have someone to play with, just pay to play at a few of these venues in Wakefield. Click here. 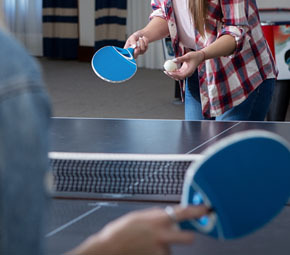 The purpose of this website is simply to provide information about what is available in Wakefield for people who are interested in playing table tennis on a regular basis, at all levels of competence or expertise. We are not affiliated with any group, club or organisation, we just want to encourage table tennis throughout the area. If you have any ideas about promoting table tennis in Wakefield, please contact us, equally you may be setting up your own table tennis club and want to advertise it, in which case please contact us and we will display it on this site for free. Please see the contact page for more information. "You have to strike the balance between the ping and the pong!" it stimulates mental alertness, concentration and tactical strategy. It's the perfect game for young and old people to sharpen reflexes. 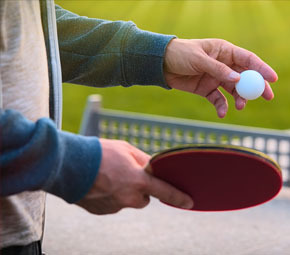 Whether you play in the community center or at home with friends, table tennis offers a great way to bond with other people while you get fit. Considering the fact that the sport is entertaining and addictive, it can be a fun and easy way to burn calories. Speed, spin and placement of the ball are crucial in table tennis, and practiced players are skilled in involving these three attributes. 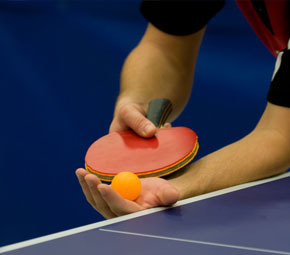 Table tennis is the most popular racquet sport in the world and ranked second overall in terms of participation. 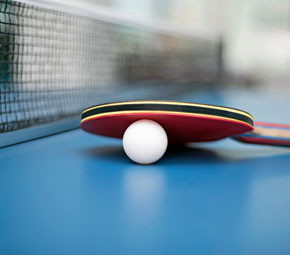 Table tennis was invented in the late 1880s in England. Table tennis balls are not hollow - they are pressurised with gas.